JAJARKOT, Feb 12: Construction work on Mid-Hills Highway in Jajarkot district is not moving ahead because of the lackluster attitude of government agencies in expediting such work. Though work on several bridges and road sections in the district have been left incomplete for long, concerned government agencies not taking any action against the contractor, according to locals. According to Department of Roads (DoR), three bridges have to be built on 92-kilometer section of Mid-Hills Highway in the district. Lack of bridges on these roads, however, has made the road inoperable. 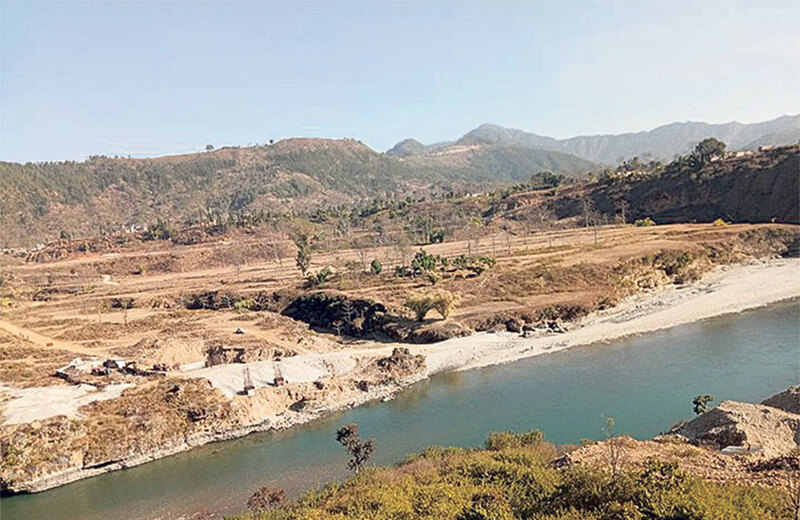 Work to build a bridge over Bheri River to connect Kudu of Jajarkot with Chaurjahari of Rukum began five years ago. But the contractor has not even built a pillar. Another bridge that connects Bhur with Jagatipur is also not suitable for transport. DoR is yet to call tender for another bridge over Chheda River. Delay in construction of bridge over Bheri River has affected locals of both Rukum and Salyan. Raju Shrestha of Kathmandu-based YP Construction, which bagged the contract to build the 100-meter build worth Rs 150 million, said that the work is not moving ahead in the lack of environment to work at the project site. “The DoR changed the design two years after the construction started. We have got the new design now. We will complete the project in two years,” Shrestha said. Though the contractor point fingers at the DoR for the delay, Shubharaj Neupane, a division engineer with the DoR, said that the project was delayed due to the contractor. “We have already extended the project completion deadline two times. However, the contractor has not started its work,” Neupane said, adding that the new deadline to complete the project is mid-July, 2018. The DoR has already spent more than Rs 1 billion on different road projects in the district. However, there is not even a single good road in the district.